One of the all time classic sweet fruity baits that hit the market back end of 1984. With a blend of six classic fruits it caught loads of fish everywhere in its original red colour before catching loads more as a two - colour version in the 90’s. We bring back the original red Caribbean on a milk and birdfood base, very sweet tasting and smelling just as it did back in ’84 - bang on the money. 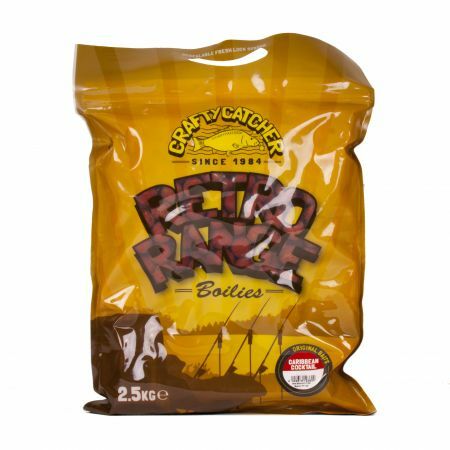 Write a review about "Retro Range Caribbean Cocktail | Boilies | 15mm | 2.5kg"
We want to know your opinion! Write a review about the product “Retro Range Caribbean Cocktail | Boilies | 15mm | 2.5kg”.